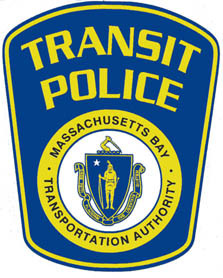 On March 28, 2017 at approximately 9:15PM Transit Police officers assigned to the South District received a radio call to respond to the Mansfield Commuter Rail station for a report of a person possibly struck by a train. Multiple Transit Police units responded along with Mansfield Fire and EMS. Transit Police personnel that were on scene report the following preliminary information; a female, approximate age of 52, while trespassing on Track 1 approximately 500 yards east of the station was struck by a southbound Providence Line MBTA Commuter Rail train. The female has been pronounced deceased as a result of injuries sustained. Transit Police detectives along with representatives from the Bristol County DA's Office are investigating the facts and circumstances surrounding the incident. Foul play is NOT suspected. Approximately 18 passengers were on board at the time of incident. They were transferred onto an MBTA bus.